At any business, but especially with ours, we get a lot questions about pricing. Since every home, office and room is different, prices vary. We rounded up some of our most frequently asked questions, to help you make your decision as you pursue a cleaner indoor space. We price all floor and rug cleaning based on the square feet of area cleaned. This applies whether we are cleaning only the traffic areas or wall-to-wall. Upholstery cleaning is priced per linear foot. Add-ons such as Scotchgard carpet and fabric protector, or post-cleaning fragrance, are priced the same way. Why don’t you charge by the room like other carpet cleaners? We believe the best way to serve you is to customize our cleaning service to your needs. Pricing by the square foot or linear foot ensures you pay only for the service you want and need. What’s your minimum service fee? Our minimum service fee is $95 for most in-home service. This includes carpet, upholstery, tile, and drapery cleaning. This does not include rug cleaning, water or fire damage, or duct cleaning. What does your $95 minimum service fee cover? This depends on what service you choose. For carpet cleaning, you can expect two bedrooms and a hallway to be covered by this price. For tile cleaning, this will generally cover a large bathroom or small kitchen. For upholstery cleaning, this covers a recliner and possibly a small ottoman. How much does an average sofa or couch cost to clean? Most standard 7-foot sofas can be cleaned for $140. How long will my floor or furnishings take to dry? Carpet generally takes 6-8 hours to dry. Add two hours if you purchase Scotchgard carpet protector with your service. Turning down your A/C or running a ceiling fan will speed things up a bit. It’s ok to walk on your wet carpet if you must, but be very careful walking from the wet carpet to a hard, slippery surface such as tile or wood. 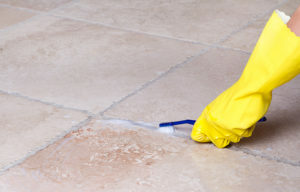 For tile cleaning, it will generally be dry to walk on in 1-2 hours. Upholstery is mostly dry in 6-8 hours. How should I prepare for your services? The main thing we ask is that we have easy access to the areas being cleaned. We will gladly move furniture during the cleaning process if requested, but we ask that any personal items or breakables be removed from the area being cleaned. Also, please secure pets to prevent any great escapes! What if you can’t remove all spots and stains on my floor? We stand behind all our procedures and cleaning agents as the best the industry has to offer. This does not mean we can safely remove 100% of permanent stains or spots in your carpet, tile, rug, or upholstery. If you are not completely satisfied with our work we will always make a 2nd attempt at cleaning any areas of concern at no cost to you. Are the chemicals you use safe for my children and pets? Effective cleaning requires using chemicals that are generally not present in the home. All the cleaning agents we use are carefully formulated to break down soil on the item being cleaned and to rinse away free of residue. This ensures you get the best clean possible without the worry of lingering chemicals on your furnishings. When possible, we try to use low VOC formulations. None of our chemicals are toxic to humans. Your worst fear just became a reality, as you’ve experienced a house fire. Your home is damaged, your mind is flooded with questions, and it can be hard to know where to begin. 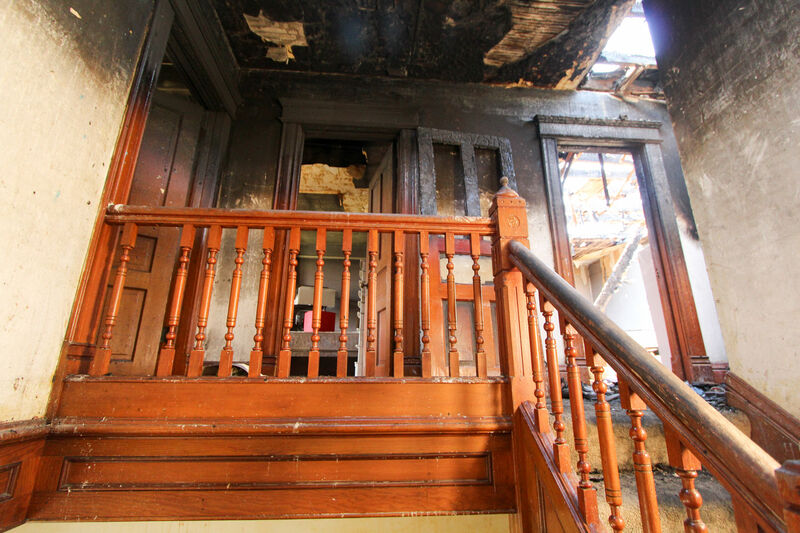 The answers to these common questions about fire restoration will help you start to restore your home. A fire was just put out in my house. What should I do now? First, if you haven’t already, you should call your insurance company and follow their directions. They will have you take pictures and extensively detail any home damage. Next, you should come up with a plan to clean your home. This is a process that can be hard to do correctly, and so it is important to seek out the proper help. Consult a professional cleaning company who specializes in fire and smoke damage clean-up. How long will it take to clean everything up? When determining what to do after a house fire, it can be easy to try to rush things, but it is important to be patient. 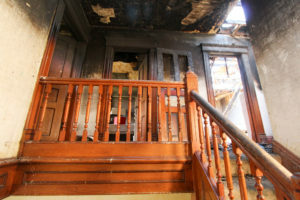 The cleaning process depends on each individual situation and varies based on the extent of the damage, how much of the house was affected, and the size of the fire. It can take anywhere from a few days for a small fire to a few weeks for a large fire with extensive damage. Can we clean the fire and smoke damage ourselves? Although it is possible to clean up the damage on your own, there are very strict standards that must be followed when cleaning fire damage. These standards are set by the IICRC, and cleaning up the damage on your own means that you are assuming all liability for any future hazards and problems that may occur as a result of improper restoration. 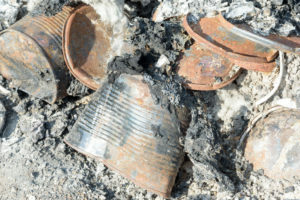 Another challenge is that most fires involve different types of residues that are burned, and each residue requires a different and very specific clean-up process. Additionally, smoke particles are extremely small, which makes it difficult to completely clean them up. Without the proper tools or knowledge, it can be almost impossible to rid your house of the smell of smoke. Should we throw out all of our food? In most cases, you should wait until your insurance agent inspects the items before throwing them out. The agent usually deems food products damaged and unsafe due to the fact that fires cause the food containers to expand and contract, which allows smoke to get into the containers. 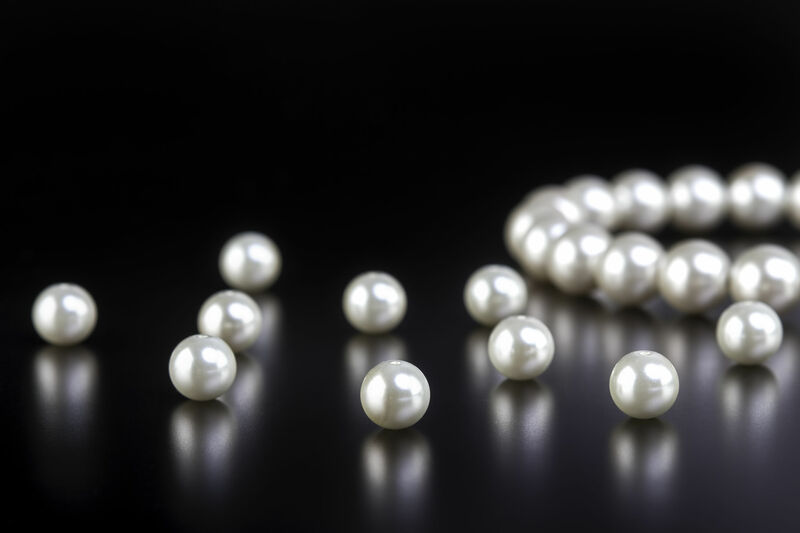 If for some reason you cannot wait for your insurance agent to inspect them, you should take a video or photos of the items before throwing them away. Can I stay at my property while the restoration process is occurring? This will depend on how much damage there is, how severe the damage is, and your own preferences. 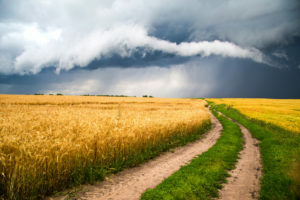 Some things to consider while making this decision are whether or not your insurance policy will cover off-site housing, where the damage occurred, and how it will affect living conditions in that area. What is the best way to secure my property after fire damage? It is often best to hire a professional company who specializes in boarding up properties. Securing your house improperly after a house fire leaves your home vulnerable. In addition, if an intruder were to get injured while on your property, you could be held liable for their injuries. What items should I keep in my possession? It’s wise to keep important and expensive items with you after a house fire. This consists of anything that you consider to be of high value, and includes things like cash, medications, jewelry, checkbooks, pets, personal documents, and valuable artwork. How can we estimate the costs of the damage for insurance purposes? Many people request the help of a trusted home improvement company or restoration company in order to estimate the damage. However, this can cause many complications with your insurance company. If damages are being paid for by your insurance company, it is necessary to contact your agent and use a specialized software to estimate damage costs as accurately as possible. Having an idea of what to do after a house fire will help you plan your cleanup and renovation process. 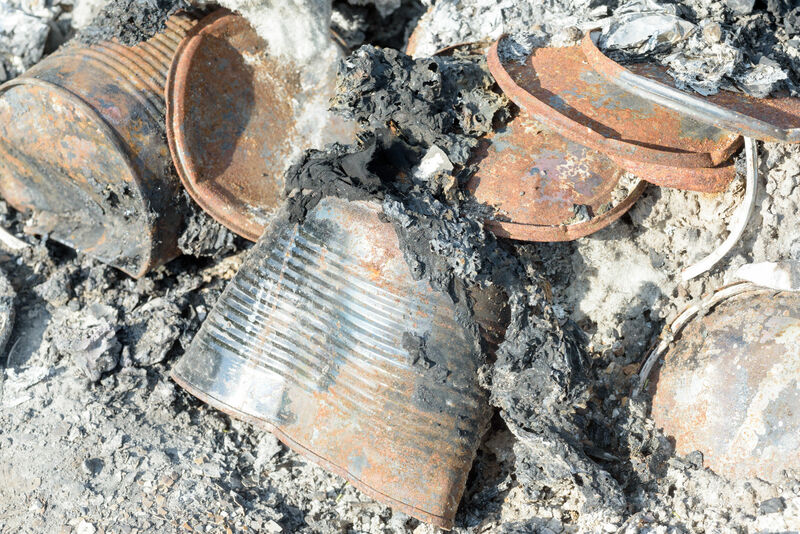 Learn more about how Bishop Clean Care can help you begin the fire restoration process. Bishop Clean Care, Inc. is a residential and commercial cleaning company serving our Southwest Georgia community for over 60 years. Be sure to follow us on Facebook and Twitter for more cleaning tips, and contact us today to learn more about our extensive cleaning, water damage restoration, and duct cleaning services. When you buy a new home or when you are looking at tile in your existing home, you might think it’s time to get rid of everything from the tub to the floor because of dirty grout. Before you go through the hassle of a major renovation, consider these tips for your tile and grout. First try to scrub the surface with a neutral tile and grout cleaner. Neutral cleaners do not have acidic solutions which breakdown sealers like bleach or vinegar. These cleaners are available at most hardware stores. You can even use a toothbrush to clean the grout more efficiently. If your tile is still looking dingy, try a professional cleaning. At Bishop, we have special methods and cleaners that can make your tile and grout look great again. After your tile is clean, whether with a neutral cleaner or a professional cleaning, protect your investment with a grout sealer. Sealers can be found at the hardware store or can be professionally applied by Bishop Clean Care. Most sealers dry within 30 minutes and cure completely within 24 hours. If you are in need of a professional cleaning, schedule one at your convenience through our online scheduler or give us a call today. Pet Stains: Discoloration from pet stains is very difficult to correct. Some treatments designed to fully remove the urine and odor can also remove the color from the carpet. Milder treatments may leave the color intact, but do not always remove all odor and contamination. 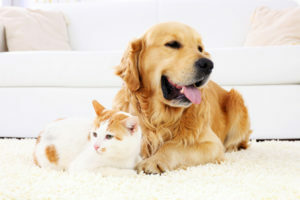 For homeowners who plan to keep their pets, regular cleaning is a good choice to keep the urine contamination in the carpet and pad to a minimum. For home buyers and sellers, replacement is the best option. Allergies: Clean away! Carpet is actually a great product for trapping allergens in the home and keeping them at floor level. Hard surfaces such as tile and wood actually increase the allergens distributed in the air we breathe. The only caveat is that carpet must be cleaned at least annually to remove the trapped allergens from the carpet fibers. Water Damage: Most in-home flooding is from clean water sources. Affected carpet can be easily cleaned in these situations and re-stretched to account for any minor variations. Water damage from unsanitary sources such as sewer lines and septic tanks ALWAYS requires carpet replacement. Crushing, Wear, and Discoloration: All carpet will wear differently, and most carpet will maintain its original look and feel if cleaned regularly. During long periods of use without cleaning, any carpet will begin to show signs of use. Traffic areas will crush and lose pile height, edges along walls will develop filter soiling caused by pressure changes in the HVAC unit, and transition areas from entrances and kitchens will show discoloration from soil. Cleaning can sometimes remedy these situations, but it’s best for us to take a look and give advice from there. Age: If carpet is more than 12-15 years old, and hasn’t been professionally cleaned at regular intervals, it most likely will need replacing. 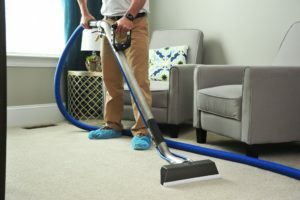 Conditions such as filter soiling, crushing, and traffic patterns will have taken their toll on the carpet, and a single cleaning will not undo decades of wear. Carpet should be professionally cleaned at intervals of 6 months up to 2 years to ensure longevity and cleanliness. Under this type of maintenance schedule, carpet can easily last 20 years or more. Shut off the water immediately to prevent additional damage. Take proper precautions to avoid an electrical shock from being in or near standing water. Bishop Clean Care should be your FIRST call. Every second counts when it comes to removing the water from your home and saving your belongings. We are a certified water mitigation specialist and can work with you and your insurance company through the process of your claim. The most important thing is to make the call to get the water out first. Bishop can help if you ever find yourself in this situation. We can get your home back to normal again. Call us at (229) 883-1202 if you ever need us. Flu season is upon us all. Although we might not know anyone who has contracted the flu yet, we know it is just a matter of time before it could possibly be knocking on the door of our home or office. Taking steps to sanitize your home and keep yourself healthy can make you feel a little better about your preparedness for this vicious virus. 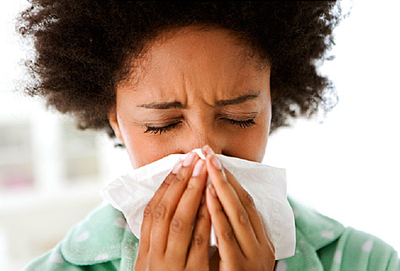 WebMD lays out several ways to keep yourself flu free this season. First things first, get your flu shot. This is the best way to prevent the flu for you and your family. Make sure EVERYONE gets one. And keep in mind it takes two weeks for your body to build up antibodies towards the flu after your vaccine. The earlier you get the vaccine the better your chances are for not contracting the virus. Next, cleaning. Flu experts agree, although this virus can cause extreme havoc, the actual virus cannot survive for long outside of the body. 24 hours is the max most studies agree on and a few minutes is the minimum. That being said, hard surfaces can sustain the virus the longest amounts of time, so focus your cleaning there. Disinfect things like toys, doorknobs, counter tops, handles, faucets, keyboards, remote controls and buttons with a disinfectant spray or wipe that kills bacteria AND viruses. Finally, wash your hands often to keep viruses from entering your body. Wash your hands before you eat and after shaking hands or using the restroom. Any soap will do, the most important thing about washing is the duration and scrubbing to dislodge any germs from your hands and send them down the drain. We hope you, your family and your office have a flu free holiday season! 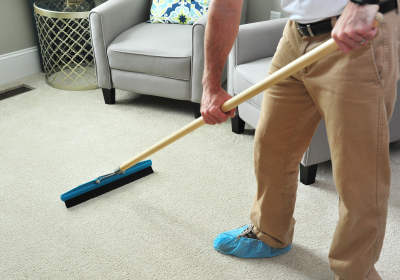 Regular cleaning extends the life of your carpet. According to a leading carpet manufacture, Shaw Floors, “Carpet in a typical household should be cleaned every 12 to 18 months, depending on the number of residents and amount of activity.” They also recommend this cleaning to be done through a professional with a hot-water extraction system to keep the carpet warranty intact and to avoid accelerated re-soiling which can happen when other cleaning products are used. Carpet can take a lot of abuse when it is professionally cleaned regularly, and can ensure your investment lasts for years. Not all carpet fibers are equal. Previous, bad experiences with carpet may have been because of cheap fibers. There are four main materials used to make carpets: nylon, polyester, PTT and polypropylene. Nylon is always going to give you the best selection, soil and stain resistance and texture retention, but it is typically the most expensive. But keep in mind, this is an investment in your home and it is better to pay a little more now, instead of paying for a costly replacement later on. If you or your family suffer from seasonal allergies, carpet can make a huge impact on your health and may reduce some of your symptoms throughout the year. Carpet, unlike hard surfaces like wood or tile, trap allergens in its fibers and hold them in place until extracted. Foot traffic on hard surfaces stir up dust, pollen, dander and insect excrement lying on top of the flooring. Carpet, when vacuumed regularly, can help eliminate allergens from your home or office and maintain optimal indoor air quality. At Bishop, we can help protect your carpet with additional Scotch Gard® treatments and keep it looking its best with regular cleaning. How Can You Prepare for a Natural Disaster? It’s a situation that you hope never happens to your family: The winds rattling the walls and your kids huddled in the basement wrapped in a blanket and asking you when they can go back to bed. Natural disasters, whatever shape they take, can be handled in a few easy steps, and damage can be managed by restorative residential cleaning in Leesburg, GA. Here are some tips from the American Red Cross to help us out. What does it mean to get a kit? Well, it means you’ll want to prepare a survival kit for if and when a natural disaster occurs. In that kit, you’ll want to include a few basic elements, including emergency food and water, a flashlight, first aid equipment, and probably also rain ponchos and blankets. Some items to include that you may not expect are a battery-powered or hand-crank radio, extra batteries for this and your flashlight, a map of the area, some extra cash, personal hygiene items, and a spare cell phone with a charger. Before the occurrence of a natural disaster, you’ll want to have discussed as a family what will be done and where everyone will go in several different scenarios. This plan should involve also having a system in place for reinforcing your home, both structurally and by making sure you have adequate insurance, in the event of a certain natural disaster. Know your area and understand the natural disasters that may affect you. Also, stay up-to-date with local weather and storms as they progress. Hopefully these tips from the Red Cross of America will get you on the right track. In the instance that your home experiences damage from a major storm or natural disaster, you should consider restorative residential cleaning in Leesburg, GA. 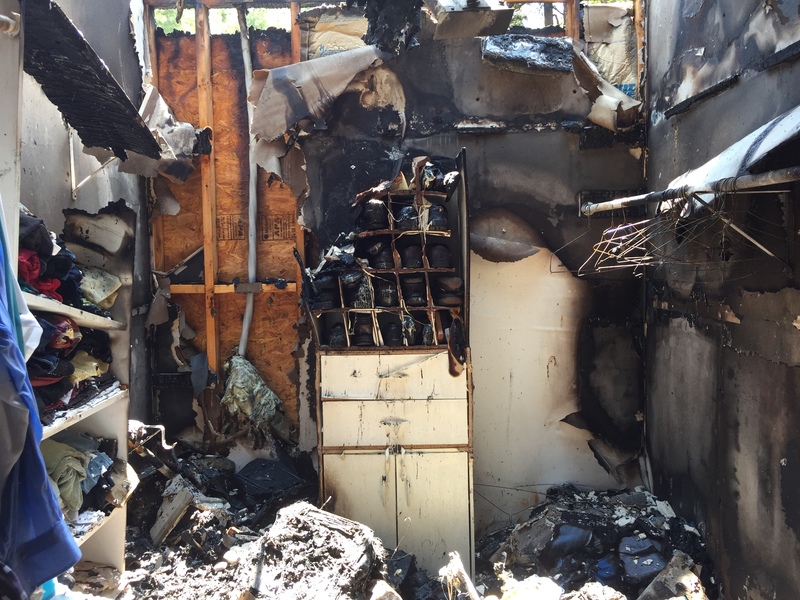 The most devastating loss of property that a family can experience is a house fire. Fires in your home can cause a wide range of damage from just smoke and odor contamination to complete loss of structure and property. Further damage is often incurred from water and chemicals used in the efforts to put the fire out. While you can never really prepare for the emotional pain from a house fire, you can do a few things to limit the long-term impact on your family. Three out of five home fire deaths happen from fires in homes with no smoke alarms or no working smoke alarms. Also, half of home fire deaths result from fires reported between 11 p.m. and 7 a.m. when most people are asleep. This makes it extremely important to maintain your smoke alarms by checking the batteries as specified by the manufacturer. Also, only one-third of Americans have both developed and practiced a home fire escape plan. This is especially important if you have young children in your home or anyone else with limited mobility. Once you’ve escaped a house fire, it’s important to stay out of the structure until professionals have deemed it safe. Read more about preventing house fire related deaths here. While most fire victims are extremely thankful to have escaped with their health and safety, those feelings can quickly turn to despair and worry when one realizes how much property they have lost. Without proper insurance coverage, the loss can be even more devastating. Renters should always carry Renters Insurance to protect their personal belongings. Homeowners should consult with their agent annually to ensure they have proper coverage for both their structure and contents. Also document high value items such as electronics, jewelry, artwork, and firearms. Collect serial numbers when possible. Keep important paperwork such as passports, legal documents, and insurance in a fireproof safe, or in a safe deposit box at your bank. The best way to prevent a house fire is to know the most common causes of them, which include: cooking (especially frying), portable heaters, failure to maintain heaters and chimneys, smoking cigarettes in the home, faulty electrical systems, and candles. Unattended cooking is a very common source of fire, so never walk away from an active cooktop. Faulty electrical systems can include anything from defective breakers to overloaded extension cords. Do not repeatedly reset a breaker that continues to trip, instead, turn off the breaker and call an electrician. Any heating device or candle should be kept far from ignition sources such as bedding material, draperies, and clothing. Fire Safety Prevention Week starts October 9th. Visit the National Fire Protection Association’s webpage to learn more. Bishop Clean Care offers services for cleanup of smoke and fire damage, and is certified by the IICRC. If you ever find yourself as a victim of a house fire, call us (229) 883-1202. Many people have questions when it comes to duct cleaning, and even more have never thought about it before. The following list of FAQ’s will shed some light on why it is important to consider duct cleaning for your home or office. 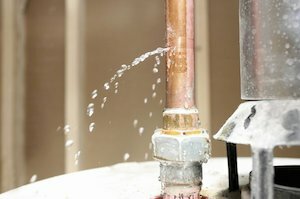 How often should I have my ducts cleaned? There is no exact formula for determining when to clean your ductwork. Most homes should be cleaned every 5-7 years. Households that contain pets, persons with allergies or asthma, or high levels of dust should consider every 3-5 years. The best way to extend the cleanliness of your ductwork is to change your filter often and according to the manufacturer’s recommendation. Can you clean any type of duct work? Yes, we can clean rigid or flex duct. We clean rigid ductwork more aggressively because it can withstand mechanical agitation. Flex ductwork requires a more gentle clean because of its flexible construction, and we are limited on the types of brushes and tools we can apply. Some older homes or commercial structures have concrete in the slab, and we would need to inspect those systems to determine if they can be cleaned. Do I need an on-site estimate? Our sales manager will contact you to ask questions about your system to determine if a visit is necessary prior to scheduling the work. We can usually give a complete estimate over the phone. Will this service help with allergies? 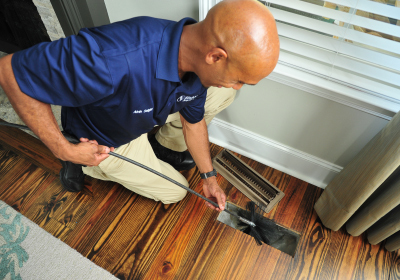 Allergens are constantly flowing through your duct system and their quantities vary based on the age of your home, number of pets, and number of family members. Any type of cleaning removes allergens from the indoor environment. Since duct work is not cleaned as often as the rest of the home, we are very likely to remove a high concentration of dust and allergens from the system, potentially reducing your exposure to allergy inducing contaminants. What parts of the system do you clean? We clean all accessible portions of the supply and return lines using a high powered HEPA filtered vacuum and various brush or air attachments. We clean all supply and return registers by hand with an anti-microbial disinfectant. We do not clean mechanical components in the unit itself such as the blower or coils, however, we can arrange this service on your behalf.